I figured I might as well post this here too, since the effect works so nicely in BM3. I just launched Perforator, a Rhythmic Gate effect in AUv3 format. 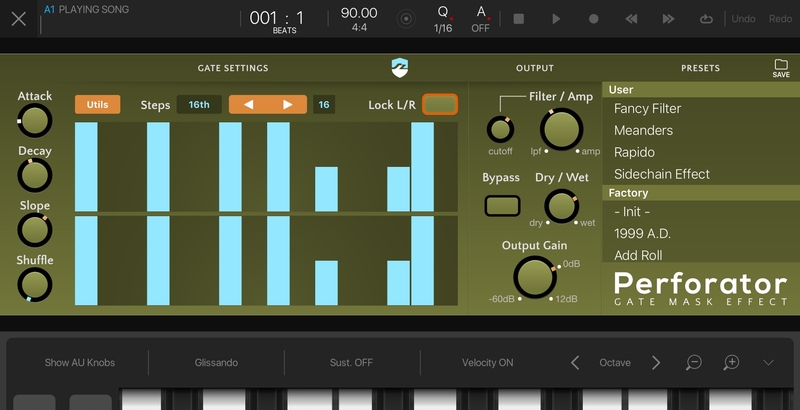 It lets you design your own Gate patterns (L & R independently if you like). As a bonus feature it also sends out its patterns as AU MIDI CC messages, which is nicely usable as a surrogate Parameter Lock designer. Instabuy, Instafun, Instaintaeverytrack haha !!! @5pinlink will get this for sure. Nice slick simple interface. Some of this can be done using bm3 inbuilt step modulation and envelope lfo automation though no? Lovin it! Wanted something like this for years... I always thought of it as some sort of ‘tremeloizer’ or something. Being able to automate or switch presets via note input would be awesome. Are we able to use the AU MIDI CC messages inside of BM3? After many hours now, i'm still getting nowhere with getting this feature working inside of BM3. I've been able to route it and get it working inside of AUM, but not BM3. Midi cc doesn't work reliably at all in BM3 except for controlling macros, but then I found that fast automation isn't exporting accurately either. I have dreams. Often late at night. Often at my desk at work, that 3.1... will save us. I haven't bought this yet (just about to) but I'm guessing the AU midi CC output from this plugin is not supported in BM3 yet? Looks like AUM is the only way to use that feature for now. @tk32 I suppose whatever works with rosetta lfo works with perforator? I think @DeanDaughters was wrong. 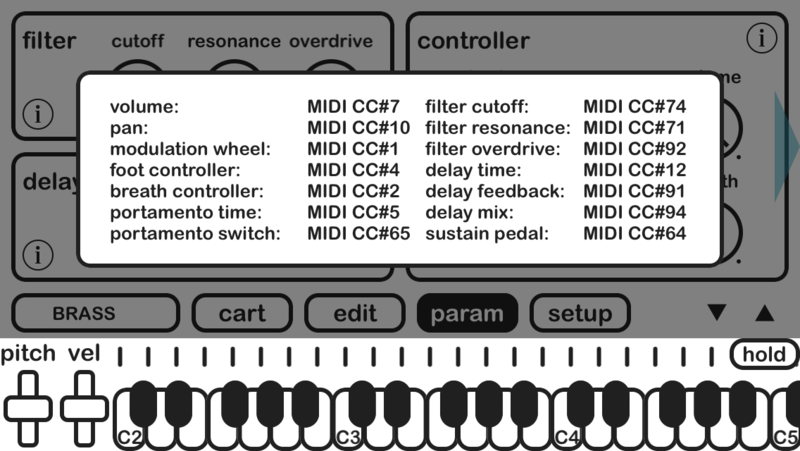 I've just bought Perforator, and think this should work fine for Midi CC routing inside BM3. I'll report back later after testing. .... and that's because you can't map midi cc to parameters inside other plugins in BM3 currently, right? Doh! I should have realised that myself. It should work for macros and modulations though, I would imagine. Perforator is awesome but I'd just keep it loaded rather than map it to macros and record the automation. BM3 doesn't accurately apply macro automation to audio when using a high latency buffer and also when exporting, so gating full on to full off quickly won't turn out like you might have intended. Agreed. I'll keep it as a live modulation, rather than record to pattern/timeline. Really hope automation is getting the overhaul it deserves in 3.1. I wonder when we'll see the release notes for confirmed changes. MIDI CC in AU MIDI has a bug in B3, so it wont play back properly in real time either.